The ever popular Cornish harbour town of Padstow with its vibrant mix of shops and restaurants is just 10 minutes away from our cottage. 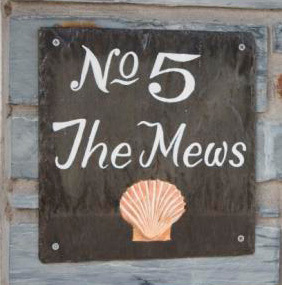 If you fancy a break from the self catering you'll always find something for all tastes in Padstow. Padstow is a quaint but busy fishing harbour on the Camel Estuary that people on holiday reach by car, boat and cycle. Padstow lies at the end of the Camel Trail cycle route that follows the 11 miles of a former railway that ran alongside the River Camel on what was once originally the Atlantic Express Route from London to the West country. Padstow's sunny position on the Estuary has always made it a popular holiday destination and today it's not only Padstow's beaches that draw the crowds but also fine dining at Rick Stein's sea food restaurant/bistro, the Chough Bakery shop, Paul Ainsworth's No 6 and Rojano's. Padstow and the neighbouring town of Rock, across the Camel Estuary, offer a great range of ways to spend your holiday by taking to the water for fishing and watersports. Whether you would like to take the children on a mackerel fishing trip or take on something bigger in the form of shark fishing off the coast and way out to sea, it's all possible from Padstow. Equally, you can take a thrilling speedboat trip around the Camel Estuary or a boat cruise around 'Puffin Island'. Rock offers a diverse range of sailing and watersports, whether you are looking for a half day in a Laser II or a bit of fun riding around on an inflatable banana! Our self catering cottage in HarlynBay is just 10 minutes away and makes the perfect base for exploring all that north Cornwall has to offer.